This morning in metals news, President Trump is reviewing the U.S.’s steel and aluminum tariffs with respect to their application to Canada and Mexico, copper prices are up and the World Trade Organization (WTO) has set up a panel for a dispute between Japan and South Korea. Could Metals Tariffs on Canada, Mexico be on the Way Out? Kelly Craft, the Trump administration’s ambassador to Canada, said the president is reviewing the U.S.’s steel and aluminum tariffs on Canada and Mexico, according to a Bloomberg report. Canada and Mexico initially secured a temporary exemption this spring, but that expired June 1. 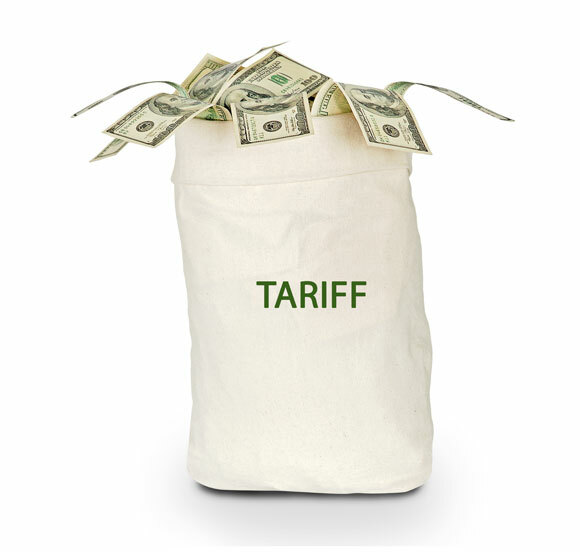 The countries hope that the U.S. will remove the tariffs before the signing of a finalized trade deal (the recently agreed upon United States-Mexico-Canada agreement, the successor to the North American Free Trade Agreement). MetalMiner’s Take: Many readers believe Canada and Mexico will be exempt from the Section 232 tariffs with the passage of the new trade agreement. If the tough rules of origin language on USMCA is adopted, the lifting of the tariffs would certainly provide some relief, particularly for semi-finished aluminum products, which remain in short supply within the United States. But it seems like passage of the deal remains contingent on the lifting of the sanctions, so it remains unclear who will win this game of chicken. Regardless, service center inventory levels have risen; rising inventory levels generally do not support prices. LME copper prices were up Monday partially on account of shrinking LME inventories, Reuters reported. LME copper jumped 1.1% on Monday. MetalMiner’s Take: It is not just falling LME inventories that are supporting copper. Despite the impact on the Chinese stock market and much media hullabaloo around trade wars, copper consumption in China remains robust (both for refined and scrap). The copper market is tight and continued global growth, permitting that lack of abundant supply, will continue to support the market. The WTO has set up a panel to deal with a dispute between Japan and South Korea over the latter’s anti-dumping duties on stainless steel bars, according to the Nikkei Asian Review. The duty has been in place since 2004, according to the report.